Based on practical requirements for quality management of commercial Portland cement clinker. This Circular provides a list of quality norms and grounds for quality examination and management of commercial Portland cement clinker. Producers, traders and users of commercial Portland cement clinker in Vietnam. Commercial Portland cement clinker (Portland cement clinker used for exchange and trading) is the product and goods of Group 2 under the Law on Product and Goods Quality. a/ Producers of commercial Portland cement clinker shall announce their product and goods quality’s conformity with the provisions of Article 4 (below referred to as regulation conformity announcement). b/ Commercial Portland cement clinker quality's conformity with the provisions of Article I must be certified (below referred to as regulation conformity certification) by conformity assessment organizations designated by the Ministry of Construction. c/ When being circulated on the market and used, commercial Portland cement clinker must have documents of regulation conformity announcement and regulation conformity certification under Points a and b of this Clause. d/ Regulation conformity announcement of domestic commercial Portland cement clinker shall be based on producers' own assessment results, or test or inspection results of an accredited conformity assessment organization undercurrent regulations, of sample commercial Portland cement clinker representing a goods lot's conformity with the provisions of Article 4. - Certification that producers' quality control systems conform with Standard ISO 9001:2008 or valid Standard ISO 9001:2000. - A Construction Ministry-designated conformity assessment organization's lest or inspection results of conformity with the provisions of Article 4 of sample commercial Portland cement clinker representing the goods lot. a/ Importers of commercial Portland cement clinker shall announce their imports' conformity with regulations on imported products and goods and have commercial Portland cement clinker quality's regulation conformity certified by a conformity assessment organization designated by the Ministry of Construction. b/ When being circulated on the market and used, imported commercial Portland cement clinker must have documents on regulation conformity announcement and regulation conformity certification under Points a and b of this Clause. Importers' own assessment results of commercial Portland cement clinker quality's conformity with the provisions of Article 4. A Construction Ministry-designated conformity assessment organization's test or inspection results of conformity with the provisions of Article 4 of sample commercial Portland cement clinker representing a goods lot at the border gate of importation. Certification that producers' quality control system conform with Standard ISO 9001:2008 or valid Standard ISO 9001:2000. Certificates of conformity with valid Standard ISO 14001 of commercial Portland cement clinker producers' environmental control systems. - A Construction Ministry-designated conformity assessment organization's test or inspection results of conformity with the provisions of Article 4 of sample commercial Portland cement clinker representing a goods lot at the border gate of importation. e/ Temporary customs clearance is permitted provided that test or inspection results of 3 days ± 45 minutes-old samples' active volume are available and other norms conform with the provisions of Article 4. Importers may use or circulate clinker on the market only when test or inspection results of conformity with the relevant provision of Article 4 of 28 days ± 45 minutes-old samples' active volume are available. The weight of each lot must not exceed 3.000 tons under Clause 6.1, Article 6 of Vietnam standard TCVN 7024:2002. 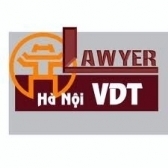 Samples shall be taken under Clause 5.1 (Points 5.1.1 and 5.1.2), Article 5 of Vietnam standard TCVN 7024:2002 as follows: Samples shall be taken at at least 10 different positions of a clinker lot. each position with around 20 kg, which shall be mixed together and divided by four to get around 80 kg for testing. Samples for testing shall be equally divided by two, one part for storage and the other for testing. 4. A list of conformity assessment organizations designated by the Ministry of Construction to test, examine, inspect and certify conformity is provided in the Appendix to this Circular and shall be updated and supplemented on the website of the Ministry of Construction. The Science, Technology and Environment Department of the Ministry of Construction shall act as the key agency in assisting the Minister of Construction in managing the operation of organizations assessing quality conformity of commercial Portland cement clinker under regulations. The Building Materials Department of the Ministry of Construction shall act as the key agency in assisting the Minister of Construction in coordinating provincial-level Construction Departments and concerned functional agencies in managing the quality of commercial Portland cement clinker in production, business, importation and use under regulations. Importers and users of commercial Portland cement clinker shall comply with this Circular. 5. Any problems arising from the implementation of this Circular should be promptly reported to the Ministry of Construction for study and additional guidance.